Candid Cameron “Love me, love my New History"
The British Prime Minister today insisted that his recent diplomatic tour was a triumph for his “new politics” and not the blunderings of a drunk toddler. 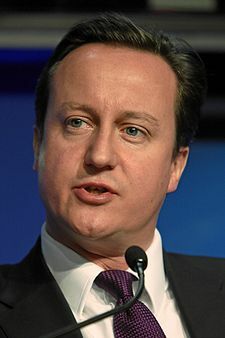 Mr Cameron was responding to criticism of his recent comments regarding the role of Britain in 1940, the situation in Gaza and the propensity of jihadis to always seem to have been trained in Pakistan. Mr Cameron elaborated that the core principle of New History was to ensure that you spoke directly to the immediate audience and told them exactly what you think will please them. Mr Cameron announced further stops on his world tour. He said that he plans to stop over at the Vatican to emphasise to the Roman Catholic church that the great renaissance art of the New History clearly emphasised just how excitingly irresistible young choirboys bottoms are.